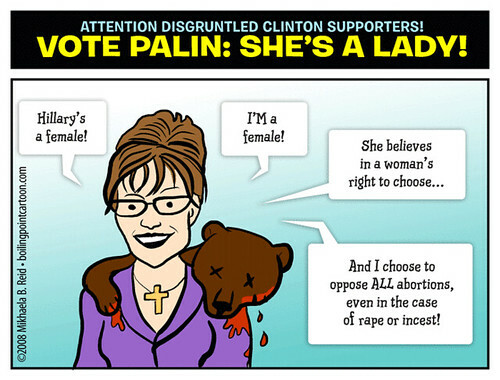 Boiling Point Blog: Feminist, LGBT and progressive political cartoons: Corrected Toon: Vote Palin: She's a Lady! Don't get me started on her love for abstinence-only "education" or creationism! P.S. A helpful reader just notified me that there was a typo in this cartoon--this is the corrected version. Toon: Dems Go Wild For Joe Biden!! Mikhaela and Masheka and CWA on the BBC!